Chinese President Xi Jinping delivered a speech titled "Look Beyond the Horizon and Steer the World Economy in the Right Direction" in Buenos Aires on Friday at the first session of the 13th summit of the Group of 20 (G20). A signed article by Chinese President Xi Jinping titled "Opening up a New Era in China-Argentina Relations" was published Wednesday on Argentine newspaper Clarin ahead of his state visit to the South American country. A signed article by Chinese President Xi Jinping titled "Joining Hands for New Splendor in the New Era" was published Tuesday on Spanish newspaper ABC ahead of his state visit to the European country. A signed article by Chinese President Xi Jinping was published Monday in three Philippine newspapers ahead of his state visit to the Southeast Asian country. 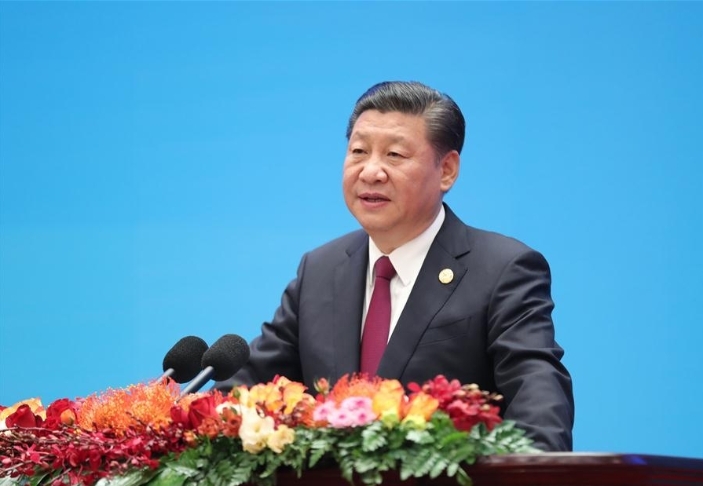 Chinese President Xi Jinping delivered a speech on Sunday at the 26th Asia-Pacific Economic Cooperation (APEC) Economic Leaders' Meeting. 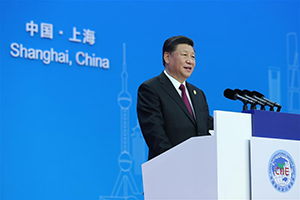 Chinese President Xi Jinping delivered a keynote speech at the opening ceremony of the first China International Import Expo in Shanghai on Monday. 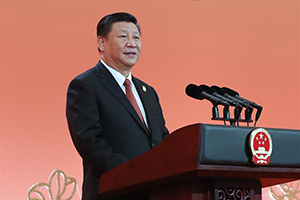 Chinese President Xi Jinping delivered a keynote speech at the opening ceremony of the 2018 Beijing Summit of the Forum on China-Africa Cooperation (FOCAC) on Monday. Chinese President Xi Jinping delivered on Thursday a speech titled "Turn Our Vision into a Reality" at the Plenary Session of the BRICS Johannesburg Summit. 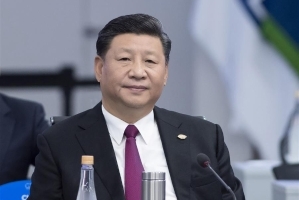 Chinese President Xi Jinping delivered on Wednesday a speech titled "Keeping Abreast of the Trend of the Times to Achieve Common Development" at the BRICS Business Forum in Johannesburg, South Africa. Chinese President Xi Jinping on Sunday published a signed article titled "For a New Era of China-South Africa Friendship" on three South African newspapers ahead of his state visit to the African country. 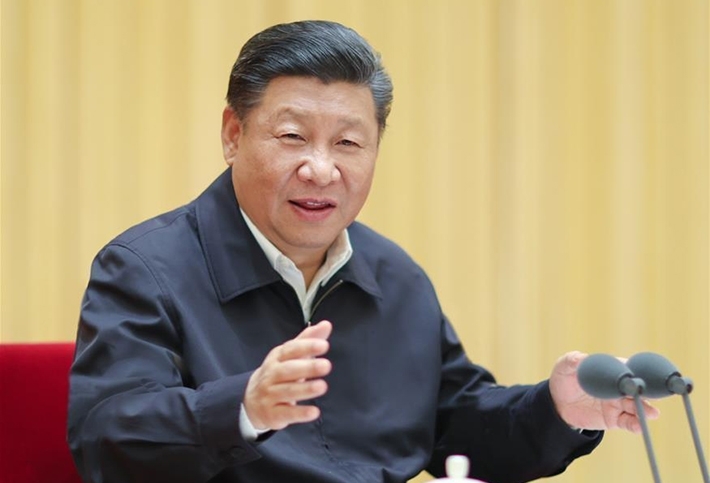 Chinese President Xi Jinping on Wednesday published a signed article titled "Working Hand in Hand for a Better Future" on Al Ittihad and The National, two mainstream newspapers in the United Arab Emirates (UAE), ahead of his state visit to the Middle East country. 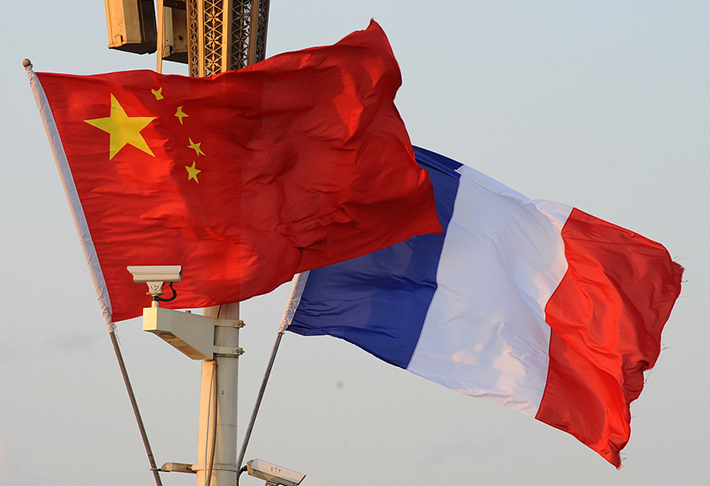 The term "shared future" has been emphasized by Chinese President Xi Jinping on many occasions. On January 18, 2017, he delivered a keynote speech at the United Nations Office at Geneva. Chinese President Xi Jinping sent a congratulatory message to the opening of the first "South-South Human Rights Forum" on Thursday. Chinese President Xi Jinping on Monday published a signed article on mainstream Lao media the Pasaxon (the People), the Pathet Lao, and the Vientiane Times ahead of his state visit to Laos. Chinese President Xi Jinping delivered a speech titled "Working Together for a New Chapter of Win-Win Cooperation in the Asia-Pacific" in Da Nang Saturday at the first session of the 25th APEC Economic Leaders' Meeting. 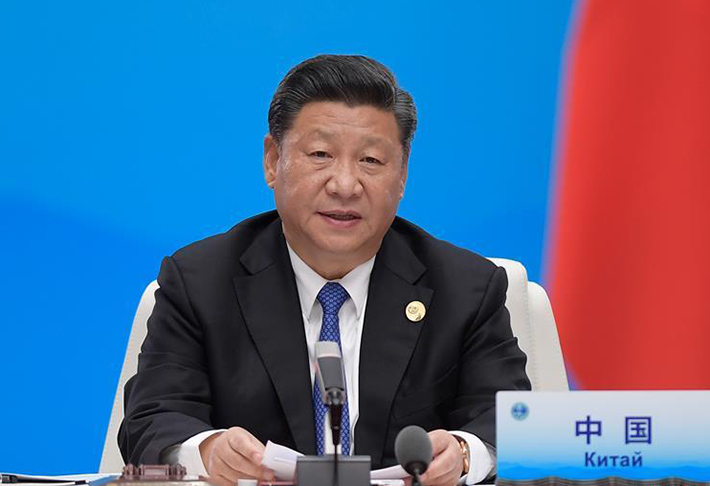 Chinese President Xi Jinping on Friday made a keynote address titled "Seizing the Opportunity of a Global Economy in Transition and Accelerating Development of the Asia-Pacific" at the Asia-Pacific Economic Cooperation (APEC) CEO Summit. Chinese President Xi Jinping on Thursday published a signed article titled "For a New Vista in China-Vietnam Friendship" on mainstream Vietnamese media Nhan Dan of Vietnam ahead of his state visit to Vietnam. 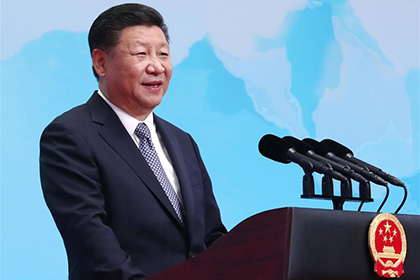 Following is the full text of remarks by Chinese President Xi Jinping at the Dialogue of Emerging Market and Developing Countries on Tuesday. 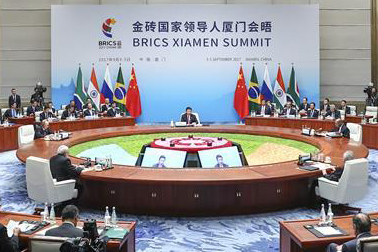 Following is the full text of remarks by Chinese President Xi Jinping at the plenary session of the BRICS Xiamen Summit on Monday. 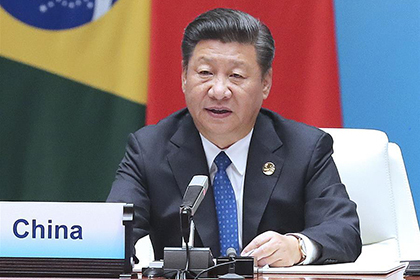 Following is the full text of the keynote speech given by Chinese President Xi Jinping at the opening ceremony of the BRICS Business Forum on Sept. 3. 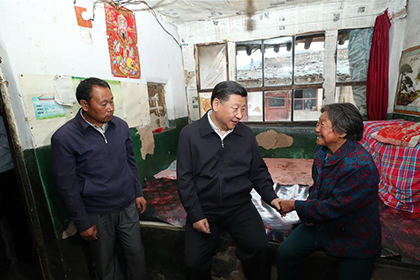 Xinhua News Agency Thursday published the full text of remarks made by Chinese President Xi Jinping when presiding over a symposium on poverty relief held in north China's Shanxi Province on June 23. Full Text of Chinese President Xi Jinping's keynote speech at the World Economic Forum in 2017.